Chris Gardner is a man who is stuck in a financial crisis where he cannot sell his expensive albeit somewhat useful bone-density scanner. This creates a strain in his relationship with his wife who is working many shifts to pay off some of the month’s rent and the necessities for her family while he tries to sell his machines. Even with both parents working, they are still behind on rent and can barely afford to pay for other necessities such as daycare for their son and luxuries such as a dependable car and their son’s birthday present. With this in mind, both parents are stressed and worried. That means they are UNHAPPY. But their problems must be masked with the idea that everything is fine in order to make their son feel happy and feel as though he is a burden in their lives. Everything changes when his wife has enough with his excuses and problems that has made their relationship fall apart. Again, this is all due to money being the problem in this situation. With rent being due 3 months ago including interest, his car being taken away from parking tickets, bad business with his machines (including some that were stolen), high daycare prices with bad childcare, and a constant struggle to maintain a healthy relationship with his wife and son, it’s no wonder why they’re both so unhappy and so stressed! Money has its advantages and disadvantages. Money is also the reason for happiness and depression. In a nutshell, money is the reason for our different relationships with items and people which can end up good or bad. In Chris’ case, it started off bad and as the story progresses, he eventually brings himself to where he is today with hard work and perseverance. In English, we’ve discussed about the importance of two times found in “A Tale of Two Cities”, a novel by Charles Dickens. The two times were compared simultaneously with two different antonyms, describing how this time (which was the French Revolution in this novel) was both a good age and a bad age for the people. 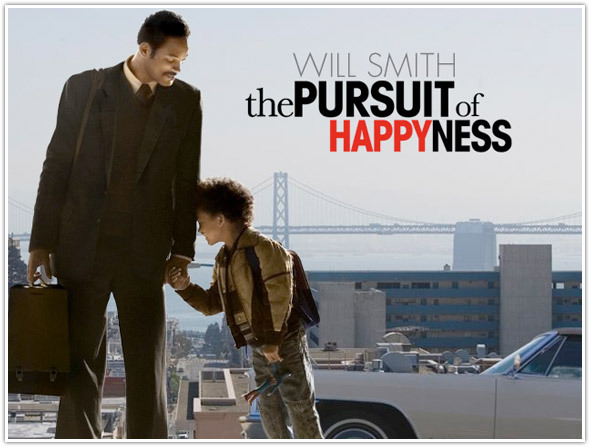 In “The Pursuit of Happyness”, it was once a good time of hope, chance, prosperity for the family when he bought those machines yet at the same time was a bad time for the family since their life savings has went into these machines as they’ve hoped better for the future. In conclusion, life has its times where it can seem to be good when it can turn out bad and vice versa. It’s the actions and the amount of mentality the person puts into their lives that sets that person’s future. I WROTE ABOUT THE SAME THING!! LOVING IT VIVIAN!